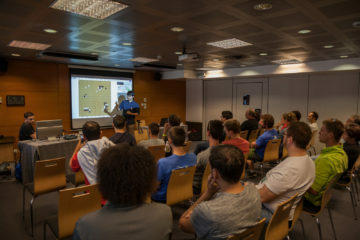 The TIGGRE (acronym of Tournoi International de Go de GREnoble), open to all players, of all strengths and ages, in a nice and cheerful atmosphere, initiated by the Grenoble Go Club team, and modelled on Ze Tournoi, organised every year around the 1st of May in a castle near Grenoble, but with a new ambition : to attract players from all over Europe – and even farther – and many kids too. 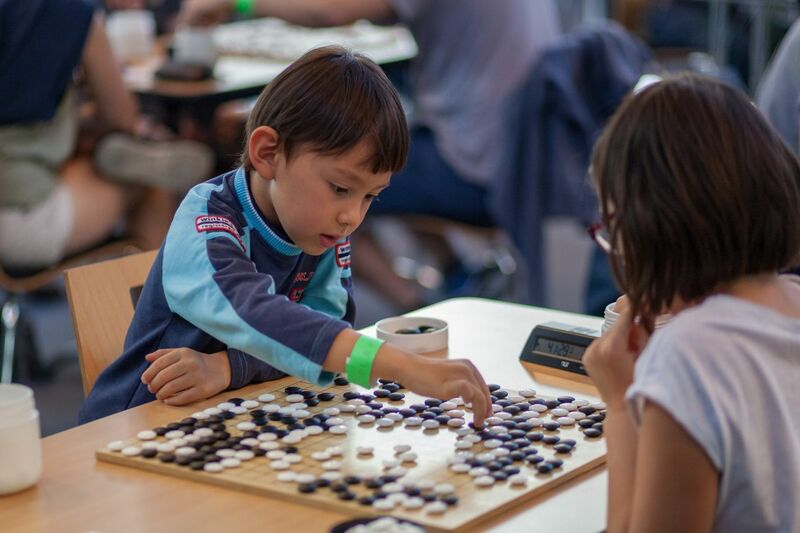 The Ellie Cup, created by Inseong Hwang to show his gratitude towards the European go community by sponsoring a high-level tournament, so that strong players would make progress by playing serious games against each other. 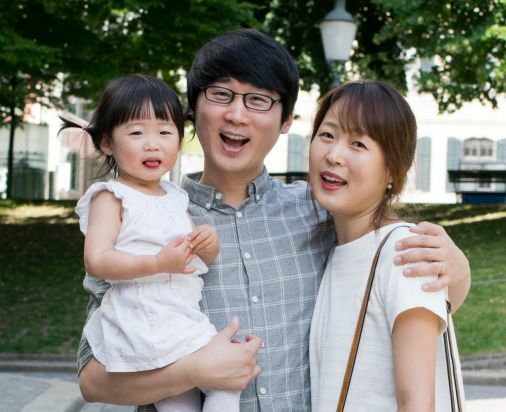 The Ellie Cup is named from Ellie, Inseong ‘s daughter, born two years ago. 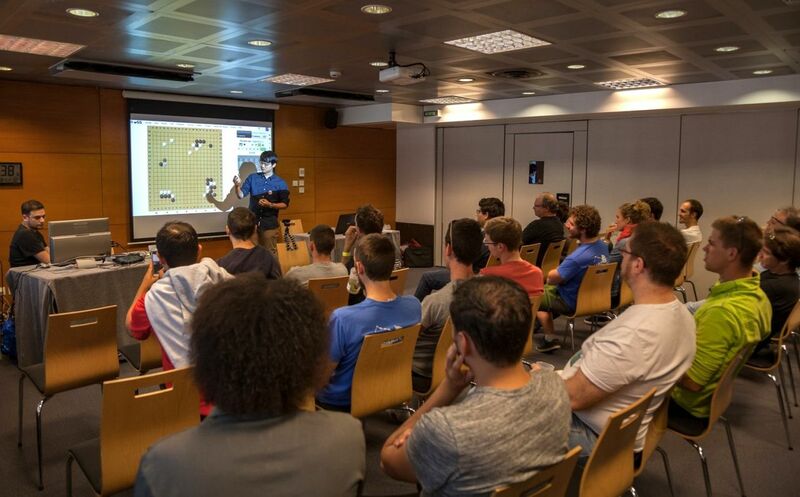 The first Ellie Cup took place last year at the same time as the EYGC (European Youth Go Championship) and was a great success. 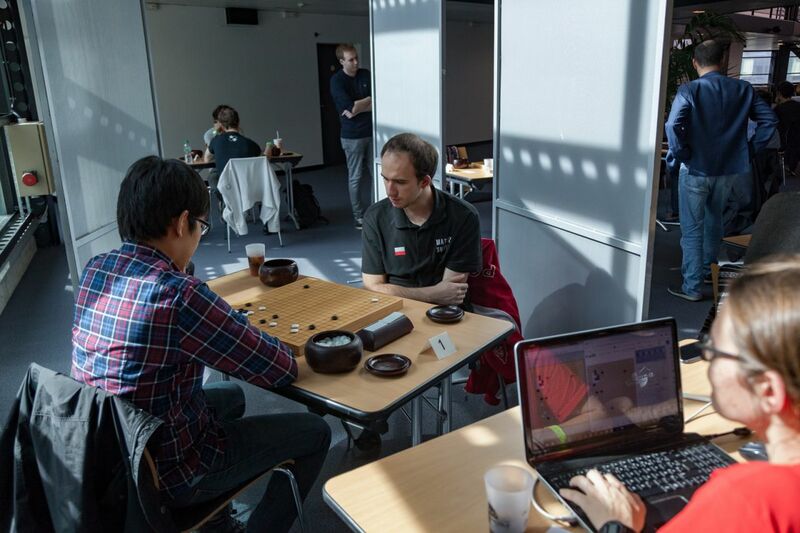 Inseong wanted to repeat it in 2018 and the Grenoble Go Club jumped at the opportunity to promote it to a European Grand Prix Level Bonus B tournament (https://www.eurogofed.org/EuropeanGrandPrix/bt2018.html). 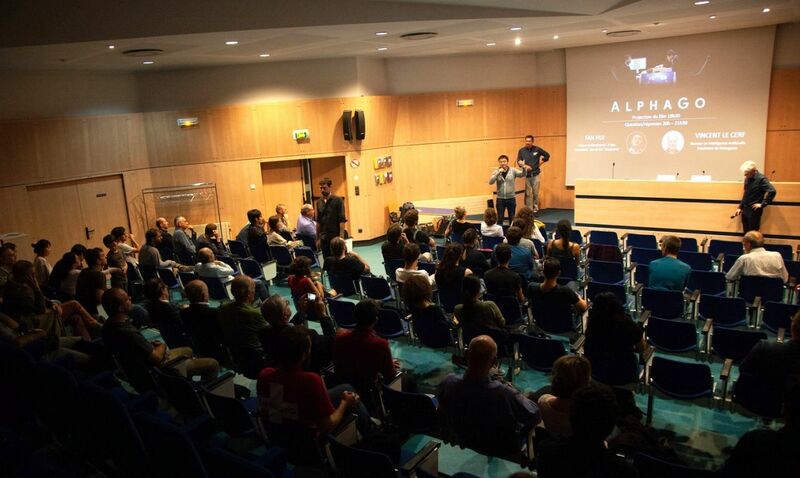 It all started on Friday 12 October, with the screening of the AlphaGo movie followed by a lively question and answer session by Fan Hui and Vincent Le Cerf, an AI specialist, in front of the attentive audience of about 80 people. After the theory came the time for practice : the practice of go, of course, but not only : card games, discussions, beer… the cheerful part of the week-end ! 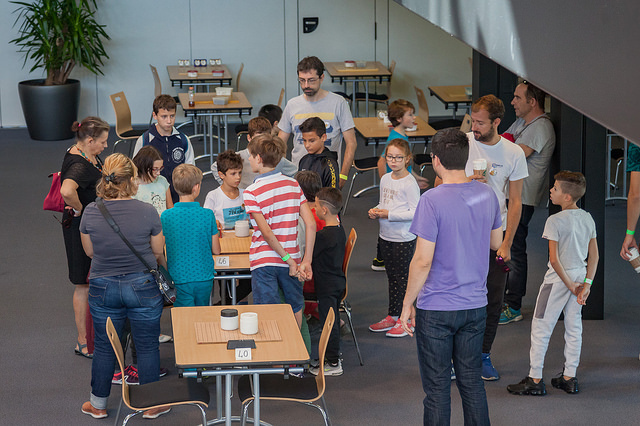 On Saturday morning, the Ellie Cup started, with 32 players. 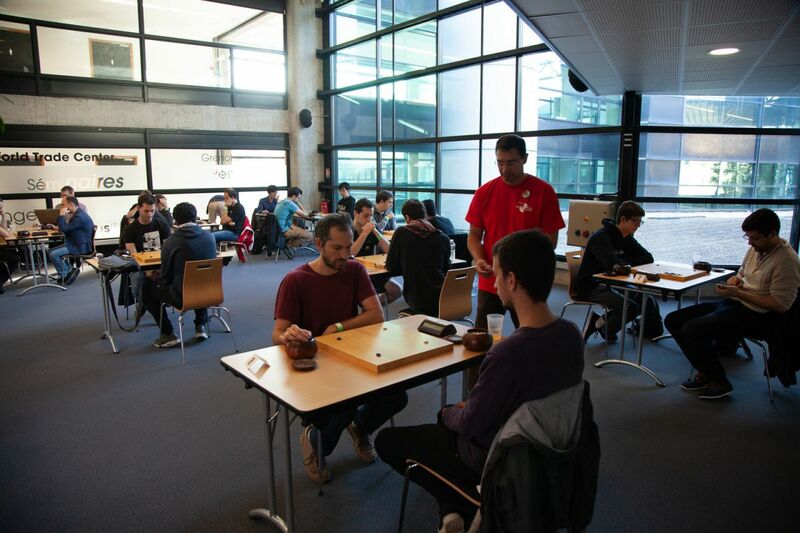 As a Level B Bonus tournament, five rounds had to be played : three on Saturday, and two on Sunday. The Ellie Cup was run as a knock-out tournament, with defeated players, at each round, rejoining the TIGGRE. Now it was time for everyone to concentrate and be serious ! 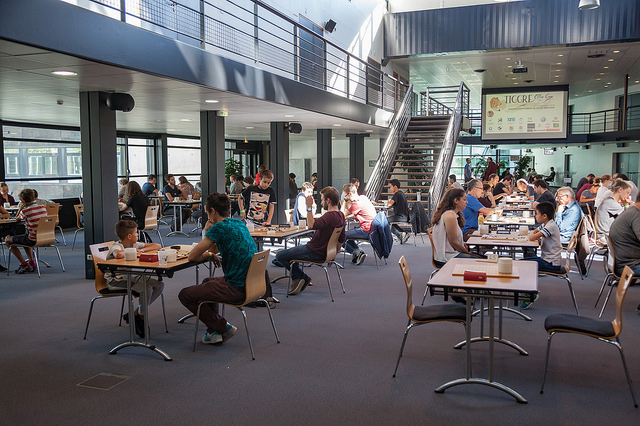 It was only on Saturday afternoon that the TIGGRE participants started playing. The children were quite impressed. For most of them, it was their first ever tournament, and we had to explain to them the rules and how the clocks worked. 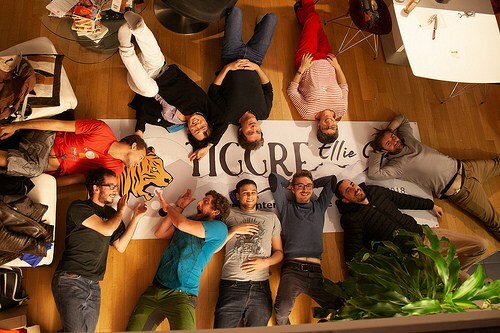 About one hundred players in total played in the Ellie Cup and the TIGGRE. If 32 players started in the Ellie Cup, only 16 were left after the first round. The defeated players rejoined the TIGGRE, a MacMahon tournament. The games of the first three tables of the Ellie Cup were broadcast on OGS and Twitch, and were also commented by Inseong. The final of the Ellie Cup was played on Sunday afternoon, between Chimin Oh and Mateusz Surma, the winners of the semi-finals. 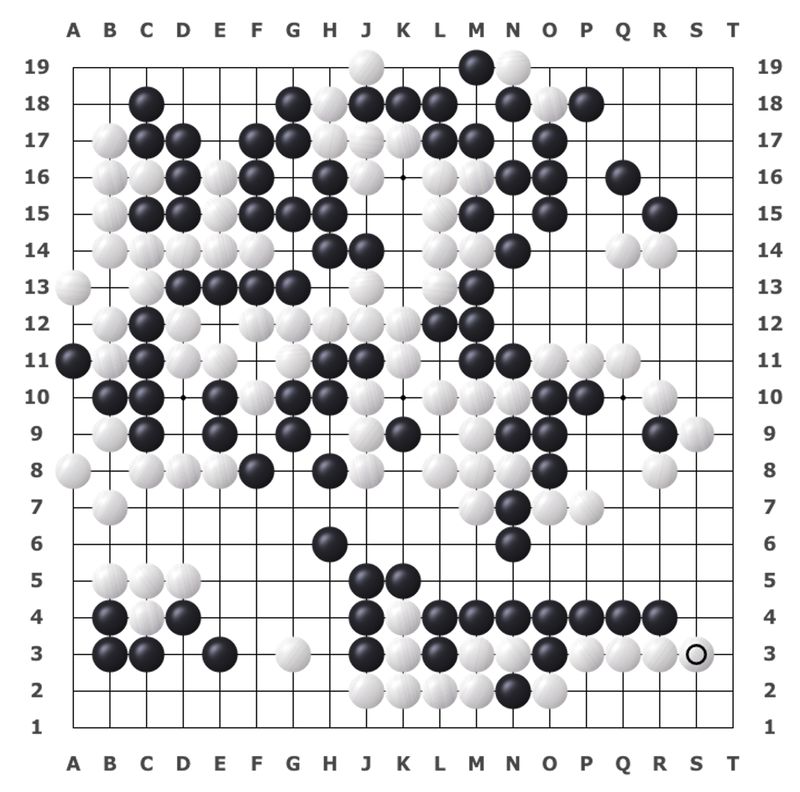 Chimin won after the resignation of Mateusz at move 178. He is the champion of the Ellie Cup for the second time in a row. He received the prize of 500 € given to the first non-European player. 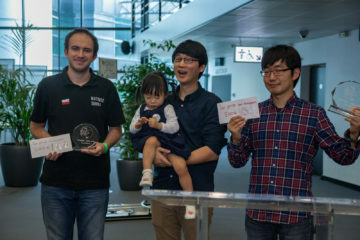 Mateusz took the first European prize (1000 €). 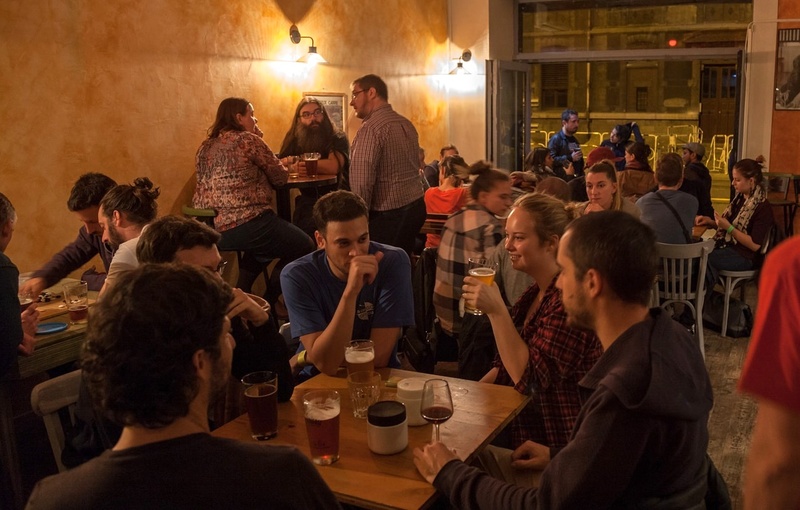 The second European prize (500 €) went to Alexander Dinerstein, followed by Lucas Neyrinck (300 €), Nikola Mitic (200 €) and Tanguy Le Calvé (200 €). In the TIGGRE, four players won their four games and received 100 € each: David Nedellec (1 k), Samuel Ducarouge (15 k), Christophe Marcenat (17 k) and Axel Charbonnier (20 k). Congratulations to all of them!Congratulations to all of them! All Level B Bonus tournaments offer the chance for two players to win a spot in the Grand Prix Final, to be played in January 2019 in Olomouc, Czechia. Alexander Dinerstein and Lucas Neyrinck are the two qualified players for this Grand Prix Final. We hope to see many of you at the next edition of the TIGGRE – Ellie Cup, for a great time again ! We thank the many go players (more than 20) who sacrificed their passion of the game during the week-end to help with the organisation of that big event. 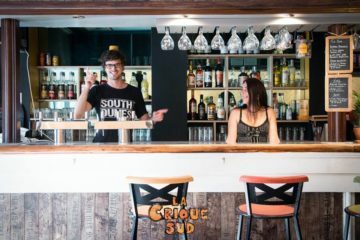 We also thank the partners of the Grenoble Go Club for their continuous support year after year. And a big thank you too to Olivier Dulac for his pictures.